May 25, 2017 By JRL, Esq. Nevada was one of the first states to allow domestic asset protection trusts. The State legislature amended the spendthrift statutes in 1999, allowing for their creation. The legislature wanted to make Nevada’s law one of the best in the country. And according to experts, it is one of the top asset protection states. One thing to look at when analyzing how strong a state is for asset protection is whether exceptions exist. For example, for public policy reasons, some states have carved out exceptions to their asset protection trust laws, either legislatively or by the courts, for the payment of child support or alimony to ex-spouses. While Nevada’s statutes do not appear to allow for any exceptions, there may have been some uncertainty regarding child support and/or spousal support payments. That is, until now. The Nevada Supreme Court just issued its decision in Klabacka v. Nelson. This divorce asset protection case answers the question “Does a trust protect assets from divorce?” While a revocable trust certainly does not provide protection, a properly drafted and funded self-settled spendthrift trust does. In the Klabacka case, Eric and Lynita Nelson had changed their community property into separate property with a valid separate property agreement. They later each created a Nevada asset protection trust (NAPT) and funded it with their respective separate property. The court noted that the requirements for setting up such trusts were met and the intent to do so was clear from the unambiguous language of the trusts. Despite some irregularities in how the trusts were administered, the Court held that Eric’s child support obligations and the lump sum alimony award of $800,000 owed by Eric were owed by him and not his NAPT. In other words, the assets held in each of the Nelsons’ asset protection trusts were protected, not only from other third party creditors, but also from each other. The Court observed that “breaching trust formalities of an otherwise validly created [NAPT] does not invalidate a spendthrift trust, rather, it creates liability upon the trustee(s) for that breach.” Just because a trustee breaches his duties as trustee, doesn’t mean the trust is invalid. The Court further explained that where a valid NAPT “agreement is clear and unambiguous, the district court may not consider the parties’ testimony regarding their purported intent when fashioning remedies related to that” NAPT. So if the trust language is clear, your spouse’s later testimony that something else was intended just won’t matter. So the bottom line is that a well drafted irrevocable trust in Nevada designed to meet the requirements of Nevada’s asset protection trust laws will be upheld by a Nevada court. As with asset protection in general, don’t wait! Setting up an irrevocable trust for creditor protection and funding it with separate property before your marriage is the key and strengthens the protection planning. And a premarital agreement can certainly help by clearly stating what is separate property. Without a premarital agreement, or also called a prenuptial agreement, your earnings will be community property following the wedding bells. At that point, a couple could sign a separate property agreement just like the Nelsons did in the Klabacka case. After the assets have been split up into each parties’ separate property, the separate property assets can be placed into an NAPT. 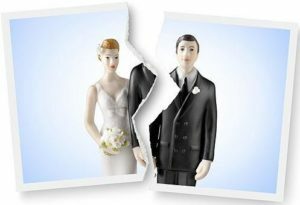 As the Klabacka case illustrates, it is not a matter of how to hide assets in a divorce, but rather how to properly plan for future unforeseen creditors, including future ex-spouses. The answer to how to do so is a little clearer now. Don’t wait to protect your hard earned assets from creditors. Call my office today!